As an entrepreneur-turned-VC, Jay brings over 10 years of startup and venture capital experience and proven track record. Jay is currently a Managing Director at TCL Ventures, a $100M USD venture fund that invests in tech companies globally and across all stages. 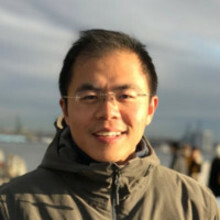 Previously, Jay was a Senior Director at Walden Venture Capital, one of the pioneer venture capital firms in Silicon Valley, with global presence in Asia and Israel. Prior to Walden, Jay was a Principal at Granite Ventures (ex- H&Q venture group), a premier San Francisco based venture capital firm that manages over $1 billion in venture capital. Jay has partnered with / served on the board of companies such as Anaplan (NYSE: PLAN), Hirevue, Marqeta, Motiv, Lime, PlusOne Robotics along with Investors from Sequoia, Greylock, KPCB and A16Z, etc.